This course is designed to provide participants with a better knowledge and understanding of the legal and practical requirements in running an operational rigging loft, from controlling the issue and receiving of rigging loft equipment to carrying out pre-use inspections and the disposal and quarantine of unfit for use equipment. Rigging loft controllers, their assistants and any other personnel involved with the day to day running and operation of a rigging loft. Familiar with the various lifting equipment usually found in a Rigging Loft, the way the equipment must be stored and issued (Tee card system). Able to know the Inspections that must be carried out before the equipment is used, and how the equipment must be inspected and returned to the Rigging Loft after use. Know various examples of equipment damaged through incorrect usage. Able to inspect wire rope and webbing slings. At the end of the course successful participants will receive a LEEA accredited certificate. Download Rigging Loft Controller & Examinar Training Overview. Other supporting legislation and standards. Awareness of and better understanding of the main working operations of a rigging loft. Signing out and inspecting safe for use of various equipment. 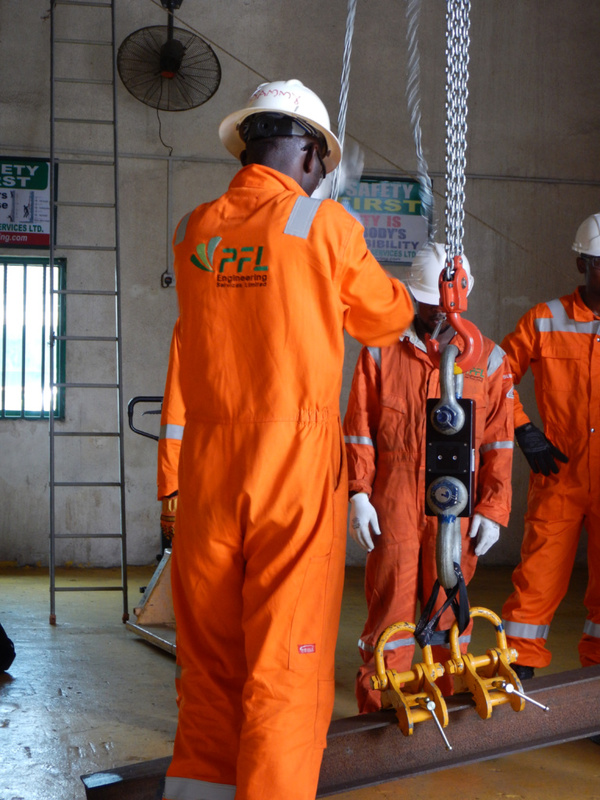 At PFL, our people are our strength, professional, experienced and highly skilled personnel are the key to our success. Plot 32 Block 100, Furo Ezimora Street, Lekki Scheme 1, Lekki Lagos, Nigeria. © 2019 PFL Engineering Services.